The FBI’s counterintelligence investigation into potential ties between the Trump campaign and Russia initially focused on four Americans and whether they were connected to Russian efforts to interfere in the 2016 presidential election. 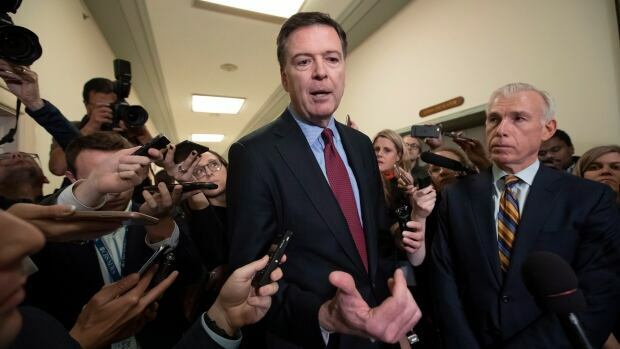 That’s according to a closed-door interview former FBI director James Comey gave Friday to the House Judiciary Committee. The panel released a transcript of that questioning on Saturday. The Republican-led committee interviewed Comey as part of its investigation into FBI actions in 2016. The House Judiciary Committee made the document public on Saturday, just 24 hours after privately grilling the fired FBI chief about investigative decisions related to Hillary Clinton’s email server and Trump’s campaign.